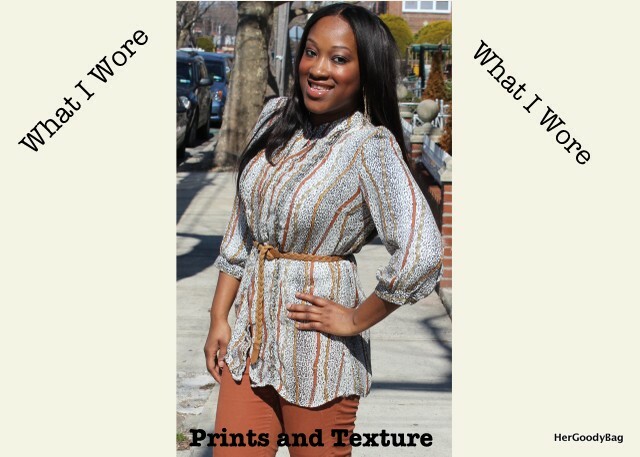 What I Wore: Prints and Textures for Spring! So today wasn’t a total drab weather wise. It is still quite chilly, which is normal around this time in the North East for Spring, but that didn’t stop me from stepping out to get a few outfit shots in. 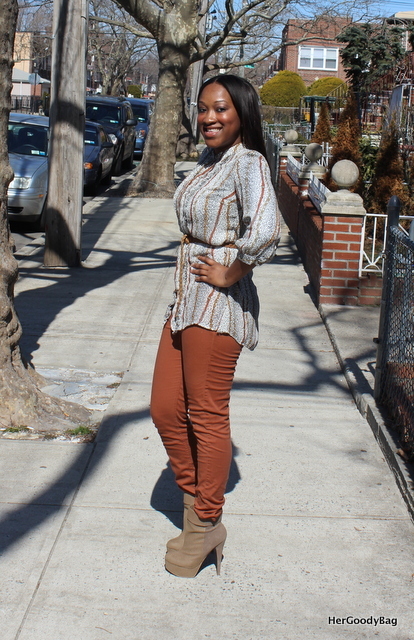 This look is perfect to transition in to spring. I can pair it with a leather jacket or a trench coat for the chilly weather. Printed Jaclyn Smith top from K-Mart (I purchased almost two years ago.) I love this top because the print is so fun. It looks great with skinny jeans or leggings. It can be worn with our without the belt and even opened with a tank top underneath. Pants from H&M (purchased almost two years ago) I love the color of these pants. I struggle with the fit around the waist which is why I always wear these pants with a tunic. Analyn Boots from Just Fab I love the mixed texture of these boots. You have the snakeskin texture in the front and on the platform and suede in the back. I always get tons of compliments when I wear these boots. 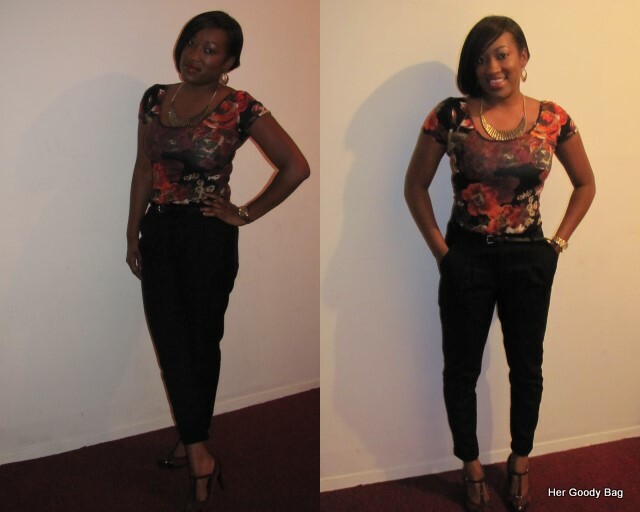 I am deeply in love with these pants! They are so comfortable and camouflage the extra bulge. Iwent with a statement necklace, and red lip as well. I am back from a GREAT weekend. I did some shopping, went to the movies, and a bunch of barbecues. 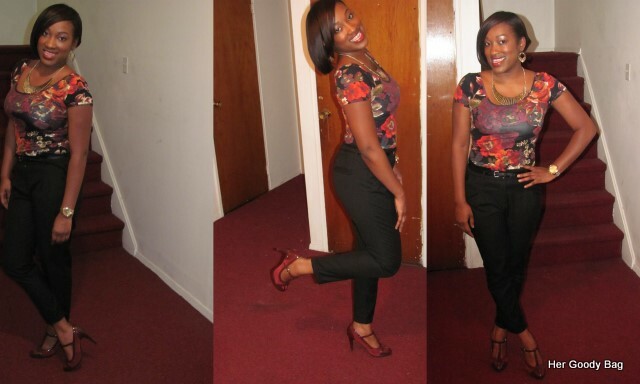 Here are a few of the looks that I wore this weekend.